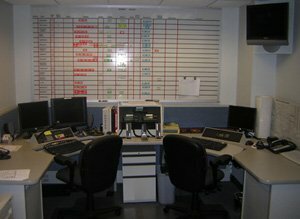 The Wyckoff Fire Department is the central fire communications center for the Northwest Bergen Mutual Aid Association and is located at Fire Company One. This start of the art communications center also is utilized for all fire calls in Wyckoff. NORCON is a valuable tool for all of our mutual aid partners. Upon receiving a report of a confirmed structure fire or large scale incident in which mutual aid apparatus and equipment would be utilized, the Chief Officer handling the incident would activate NORCON. 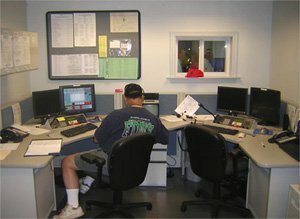 Upon activating NORCON, volunteers from the Wyckoff Fire Department who had been trained on the desk would come in and begin to assist the Chief. NORCON would initially handle making certain that the Chief had enough manpower and apparatus at the scene of the incident and locate additional crews and apparatus to cover the firehouses so that in the event that they were needed at the scene they could be redirected quickly.